Opononi is beautiful spot for a relaxing holiday. Opononi and its twin settlement Omapere provide a slice of beachside living in the heart of the Hokianga. A golden sandy beach stretches all the way from Omapere to the Opononi Wharf, which is a short walk from the cottage. From here you can catch a water taxi to the giant sand dunes on the other side of the harbour. Dune surfing on boogie boards and fishing trips can be arranged at the wharf in the summer months. There are many walking tracks in the area to explore. The magnificant Waipoua Kauri forest is a handy 24km drive away. The historic town of Rawene is also a short 26km drive from Opononi. The local Four Square superette, Opononi Hotel/Pub, and Information Centre are all within a short walking distance. 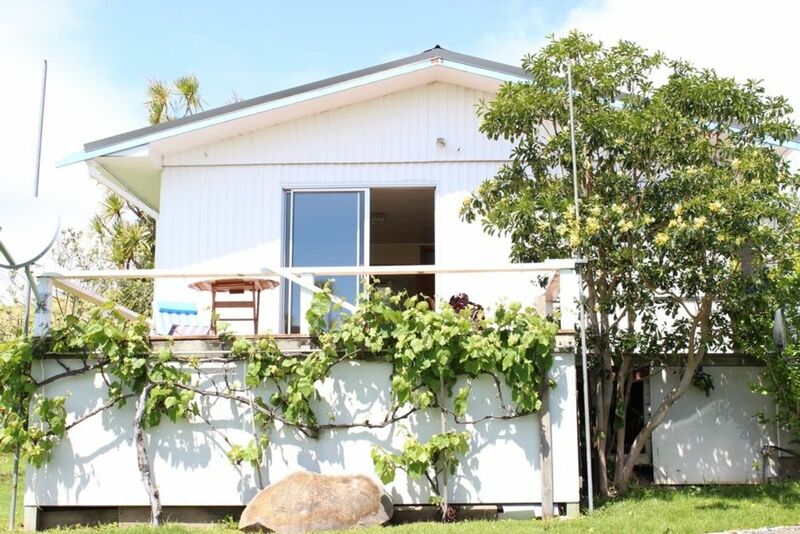 The cottage has a large deck which overlooks the harbour. The owners home is on site at the rear of the property but privacy is respected. Great host.. Very comfortable place ! This beach cottage was easy to find and clean and tidy. It has a fantastic view over the Hokianga. Helpful owners gave us some pointers about where to eat out and other local information. I would stay there again. Good location and view over harbour. Good online contact. Easy access to key. Thank you for staying, would always be welcome back. Great guests to have stay, always welcome back.